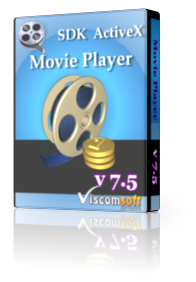 For Windows Developers who need to video media player in C#, C++ , VB.NET , VB, Delphi, VFP, Access. 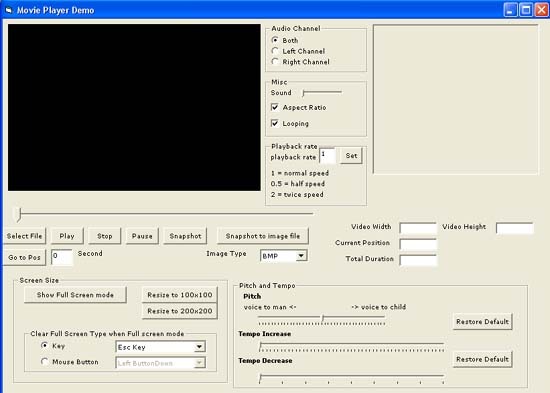 Support DIVX AVI, MP4, MOV, Avi, Wmv (window media video), RM (need rm decoder), MPEG-1, ASF, WAV, MP3, MID File formats. Support count the number of audio tracks and select playback specific audio track in DIVX AVI, MP4, MOV, M4V video files. Including DIVX AVI, MP4, MOV decoder. (Do not need download third party codec pack, some third party codec pack is illegal) . Include Access, c# 2015, 2005, Delphi, VB, VB.Net 2015, VB.Net 2010, VC , VFP Sample Code. updated DIVX AVI decoder, now support count the number of audio tracks, get the audio track name and select playback specific audio track . fixed cannot change aspect ratio issue when preview the video. updated picturebox lock the image file issue when click snapshot button with C# 2015, C# 2010, VB.NET 2015, VB.NET 2010 sample. 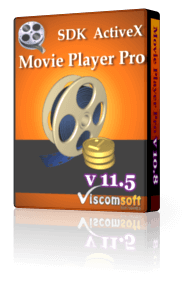 added Support count the number of audio tracks, get the audio track name and select playback specific audio track in MP4, MOV, M4V video files. added MP4SelectStream, MP4GetStreamName, MP4GetStreamCount methods. updated VB6, VB.NET 2010, C# 2010 General player samples. added MP4 decoder, bulit-in MP4, MOV decoder now, now get good performance and quality for HD video. added allow unload the video. fixed locked MOV issue after playback these files. fixed some mov files(H.264 codec, 4800Hz sample rate) cannot playback and audio sync issue. Now support HD mov, support 6-channel audio mov file. redesign ChangePitch, ChangeTempo methods, now it is very stable, fixed crash issue with some video file. improved full screen mode design, fixed some full screen mode issue with .net. now it can using keyboard key or mouse button to close the full screen. removed RegisterMsg, UnRegisterMsg methods, now switch to full screen or close the full screen is very easy. improved crash issue when change audio pitch, tempo. added mov files support change audio tempo. added mov files support aac audio. removed support mp4, 3gp files. WMV, ASF, WMA file support change playback rate. added Video Color Adjustment, contrast, brightness, invert color, saturate, hue, lightness. added change the audio pitch to male, female, child voices. added change the audio tempo to speed up or slow down the song. added Fast Snapshot to BMP,JPG,GIF,TIF,PNG from movie files. added allow change playback rate when playback video. added allow Full screen display.